Tuesday night, Van Halen performed their first of two shows at Madison Square Garden. The band is currently touring in support of A Different Kind of Truth, their first album since reuniting with David Lee Roth. The last full length Van Halen release with Diamond Dave on vocals was the album 1984, some 28 years ago. While the band has a history of conflict between members, there was no sign of it during their show. They all seemed genuinely happy to be performing together, which shows in the photos from the concert. The full gallery of photos can be seen here. 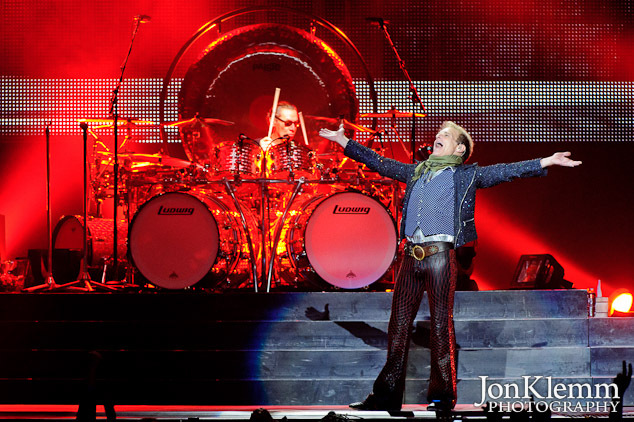 This entry was posted in Concert Photography and tagged Madison Square Garden, Van Halen.